Congratulations on your new book, Daniella. 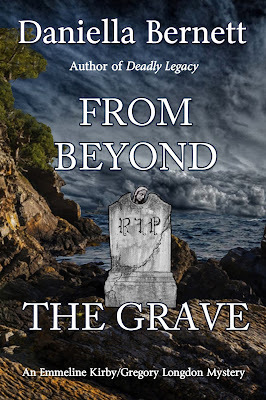 “From Beyond the Grave” does sound quite intriguing and I’m looking forward to reading it. As for secrets, they are indeed a special dilemma in a story but I think the answer depends on the nature of the secret. Leaving some things unsaid can be the kindest choice, not necessarily to protect the secret but because there’s no good reason to share it. Some secrets change nothing and divulging them will only bring pain . . . not telling those secrets is a compassionate decision. On the other hand, if the truth revealed by the secret is essential, if it’s a truth that must come to light, then it‘s a secret that must be disclosed . . . . 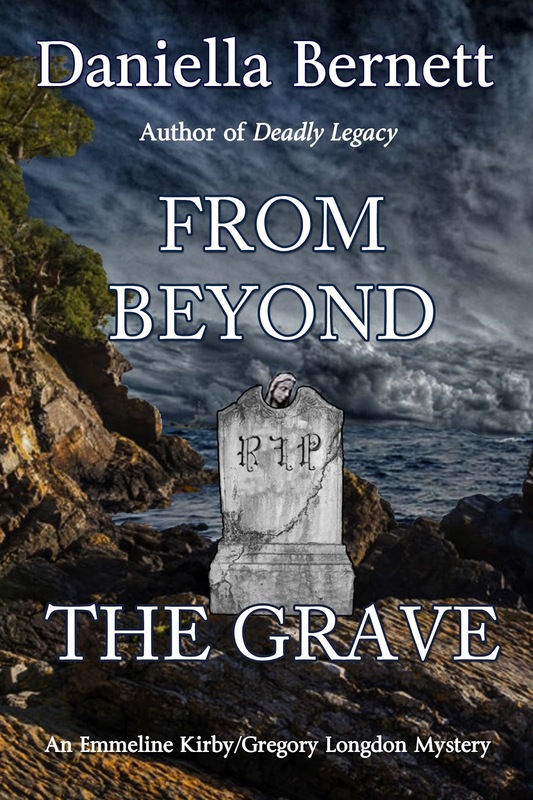 Thank you for your good wishes about "From Beyond The Grave." As for secrets, no one wants to see the innocent get hurt. Unless, it is a wicked author who has a story that MUST be told. Sometimes happily ever after can leave things a bit flat and one needs a secret to add a dash of spice. Oh Daniella, you had me at Devon! After posting these comments, I will be going to Amazon to look up your series and put the books on my wish list. From Beyond the Grave sounds absolutely fascinating. Secrets. I agree with Joan, that if it only causes pain, a secret should remain that. I always find it interesting when a couple says that there will be no secrets between them. Really? Do couples need to know everything about each other? I will take the number of books I buy to my grave. No reason to bother my husband with that non-essential information. Hahaha! Ah, I see you are an Anglophile just like me. I'm delighted that "From Beyond The Grave" has piqued your interest. I hope you enjoy it. As you noted, do we really ever know everything that lurks in the deepest, darkest corner of another person's heart. Do we want to? That's another discussion altogether. Daniella, congratulations on the new Emmeline Kirby/Gregory Longdon novel! I agree with you on secrets. They really are the 'secret sauce' of a good mystery novel. The guilty lie to protect secrets, and so do the innocent. As Sam Spade says, "Everybody has something to conceal." Thank you for your good wishes. Aren't secrets a delicious way for writers to add a layer of complexity, as well as a few twists and turns, to our tales? I like to keep readers guessing, to leave them just that little bit off balance. So great! And it sounds wonderful… yes, secrets are certainly what makes a novel go-round. And it is sometimes a balance for authors to decide how much the secret can be kept and still be fair to the reader. Right? Tell us your secret-- How do you do your Devon research? Congratulations! Indeed, it is sometimes difficult for authors to decide how much of a secret to dangle in front readers and how much to allow to seep out, with excruciating slowness, to build the tension. As for research, I read a lot. I also believe in giving readers a sense of actually being there. I try to describe places that have made a strong impression on me. I hope I've conveyed that in my stories. Congratulations on the new Emmeline Kirby/Gregory Longdon novel! I can't imagine what the excitement of publication day must be like. And set in Torquay! All I know about Torquay is "Faulty Towers" and that Agatha Christie was born there. I think she took her inspiration for Hercule Poirot from a Belgian refugee gentleman she saw at the train station there. It's such an intriguing place to set a mystery. What is your secret? Thank you for your good wishes. Indeed, Torquay was Agatha Christie's birthplace. She is the writer who inspired and influenced me the most. "From Beyond The Grave" is my own humble tribute to Christie. You asked what my secret is. Now surely, you don't expect me to give it away? Isn't half the fun trying to figure out what a secret is. Just whisper it in my ear. I won't tell a soul. Oh, no. That would be cheating. Congrats on the new book, Daniella! I forgoet where I read it but someone said "secrets and lies" are behind every mystery plot and a writer wields them to her benefit. I'm on the fence about secrets in real life. Sometimes, nothing good comes of revealing one. On the other hand, sometimes the revelation is painful, but necessary. Thank you for your good wishes. 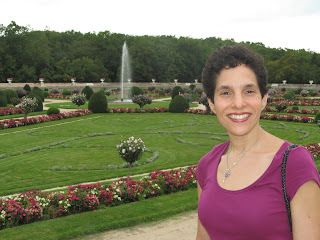 Yes, secrets and lies are all-important tools for authors as they unravel their plot. However, as I said in my piece, the truth can be a double-edged sword. Is knowledge power? It depends into whose hands the truth tumbles and whether that knowledge is wielded for good or evil. Thank you. Isn't it delightful to have the omnipotent power as an author to make such decisions? Congratulations on the new book. I haven't seen this series but it sounds intriguing. How did you come up with the combination of a journalist and a jewel thief? Or is it a secret? Thank you for your good wishes. I'm happy to hear that my series has piqued your interest. To answer your question, a journalist is inherently curious about many subjects. His or her job is to ask questions to uncover the truth and ensure transparency. Naturally, a journalist would be intrigued by crime, especially murder. The determination to find answers and see that justice is served are all important. Now, how does a jewel thief fit into the model of a sleuth? Aren’t lying and evading the law a thief's modus operandi? Isn't this in stark contrast to a journalist's reverence for the truth and justice? Most definitely. That's exactly the point. A portrait in contrasts. Who better than someone on the wrong side of the law to discern the twisted workings of a fellow criminal's mind? I've also laced my stories with a dollop of romantic suspense to give them extra bit of spice and added depth. Danielle, this storyline and series sound wonderful. I will have to hunt them down. Long-kept secrets have a way of seeping out eventually. I had a much older than me cousin who abandoned his wife and 4 kids many years ago. Just took off. They never heard from him again. He evidently started a new life, with a new wife and family. Neither family knew about each other until he died and his second wife filed for social security. Since the first wife had been collecting the SSA smelled a rat. What a rotten thing to do to both his families. Thank you. I hope you enjoy my books. Alas, secrets can destroy lives from the inside out. However, they are perfect fodder for authors. Are we wicked? Perhaps we are just a wee bit if we are filled with glee to wreak havoc. Danielle, Devon is a place that has always intrigued me, but I've never made it there. Now I can visit in your book! Your bio mentions that you also write poetry. What's your secret to producing two very different kinds of work? Do you alternate between poetry and fiction or do both at the same time? Daniella! Sorry I swapped an "e" for the "a" by mistake! When I started as a kid, it was mystery stories. After I graduated from college, in the four months it took me to find my first job, I wrote a mystery novel. My first job was at Penguin USA as a copywriter. One day, I gathered the courage to show my mystery to an editor. She actually read it. She told me that it was better than a lot of books she sees from first-time writers, but I had to think more in terms of a series. You can imagine how excited I was by these comments. I revised my book and started sending it out to agents. I received rejection after rejection, so I chalked it up to a good exercise and began focusing more on my poetry, which I had always loved. The result was my two poetry collections. They were accepted by a print-on-demand publisher. They didn't attract too much attention, which was disappointing. By that time though, the idea for my Emmeline Kirby-Gregory Longdon series had crystallized itself in my mind and I started writing LEAD ME INTO DANGER. I had the basic storylines for the first few books in my head when I threw myself into it. To make a long story short, after receiving numerous rejections from agents. I began looking for a small press that didn't require an agent. At last my publisher, Black Opal Books, accepted LEAD ME INTO DANGER. By that time though, Books 2 and 3 were completed as well so I was offered a three-book contract. That's why FROM BEYOND THE GRAVE has been released now, but I am working on Book 6. Secrets-and lies-make for a good mystery. Nice post! Thanks very much. I'm glad you enjoyed my post. Daniella - Can I tell you a secret? I love mysteries because you have to unravel the secrets to get to a solution. Itis no secret that I have read your first two novels and loved them. I can't wait to start reading From Beyond the Grave. I like the post. Thank you for your kind words. It always music to my ears when readers tell me that they enjoyed my books. All these secrets bring to Jacqueline Winspear's Masie Dobbs novel "A Lesson in Secrets" and her standalone "The Care and Management of Lies". Too many secrets, too many lies make good stories and inspire wonderful thinking. Outside of stories, secrets and lies are worrisome and scary. Looking forward to reading how you weave them into your books, Daniella. Yes, I agree. In the real world, secrets and lies are distinctly unnerving. I'm glad to hear that you're looking forward to dipping into my books.